In honour of Valentine’s Day this post will look at the wonderful world of courtship in the spider genus Latrodectus, more commonly known as the widow spiders. Readers of my previous post will recall this genus includes species such as the American black widow (Latrodectus mactans), the Australian redback (L. hasseltii) and the New Zealand katipo (L. katipo), all spiders with a toxic reputation. Mating: We all know the birds and the bees do it, but what about spiders? Well obviously they have to reproduce but spider courtship presents some problems. Imagine yourself as a male black widow for a moment. First of all your prospective mate is an aggressive carnivore many times your size. If that’s not bad enough, you’re venturing into her web where she holds all the advantages. Worst of all, her first reaction is going to be ‘dinner!’ As you can see, mating is a risky business from his point of view! However, if male spiders were always eaten before they got to mate we’d soon run out of spiders. In order to approach females in relative safety, male spiders have special courtship signals to let them get up close and personal. Unfortunately, this doesn’t always work and the poor lovelorn male may end up as a snack if he puts a foot wrong. Even if he gets his moves right, he still may not make it out alive. This is how the black widow earned its’ name. It was widely believed that the female black widow would always devour the hapless male after mating. However, it turns out that the black widow’s femme-fatale image is exaggerated because while males may sometimes end up as lunch, it’s not all that common. So are widow spiders still deserving of the name? Yes! While the black widow’s reputation might not be completely justified, mating in the Australian redback species can accurately be described as the ultimate dinner date. Not only is the redback male eaten by the female after mating, he voluntarily places himself under her fangs to make it easier. So what drives this suicidal strategy? Redbacks often live in arid areas where food is short. It’s thought that by feeding his mate she in turn has more nutrients to better provision more eggs and thus develop more of his offspring. But there’s a further twist to this tale. Female redbacks can store sperm from more than one mating for months at a time so one male’s sacrifice may end up being used to provide for another male’s offspring. Female katipo is a bit gentler on her male counterpart and typically lets him escape to try and mate another day. Katipo and redbacks are close relatives and can still mate, but only one way. This means female katipo can mate with males from either species, but redback females will only mate with their own kind. The male redback will still offer himself up to be bitten when mating with katipo but she’s too polite to nibble! 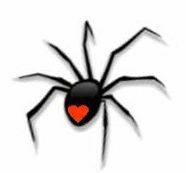 And before anyone asks, there is no such thing as the St Valentine’s widow spider! This post is dedicated to the late Dr Lyn Forster, a New Zealand arachnologist who was the first to document sexual cannibalism in the redback spider. I’ve go through some good stuff in this article. Worth bookmarking for returning to. I wonder what amount attempt you placed to make a really superb helpful site. So, can the offspring of a katipo and a redback breed?